This French proverb means “Everyone sees noon at his doorstep.” It illustrates that people will always (first and foremost) see their subjective opinions as objective truths. In a world where everyone thinks they are right and argue accordingly, it is more meaningful if we listen to understand and not to reply. Know when and where you will take your first trip abroad and apply for scholarships through OU’s CASH database by February 1st. Go to international events. The ones you’ll blog about, and the ones you won’t. Use the Language Learning Center — in person and online (free foreign films). Always check your OU email and sign up to be on the College of International Studies email list. Go to a lot of international student group meetings in the beginning. Then, pick the ones you’d like to be actively involved in. The Guatemalan Civil War from 1960 to 1996 remains one of the most brutal conflicts in Latin American history. The Roman Catholic Church sent priests when the country was undergoing high levels of death, illiteracy, low incomes, and persecution. Father Rother (from Oklahoma and the first American priest to be beatified) was one of many priests sent. Father Rother connected with the Tz’utujil peoples, spread Catholicism, and eventually died for living out his Catholic faith. To connect with the Tz’utujil, Father Rother broke bread with the hungry, befriended all members of the community (including the outcasts), and learned Tz’utujil. The civil war within the country led to the military occupying the area Father Rother was at. They claimed they were protecting the community against the communist rebels, but the communist rebels weren’t there anymore. So, the military was the one inflicting danger– and Father Rother pointed this out. Though, Father Rother was an American and respected by the Tz’utujil peoples (thus, protecting him), his protection didn’t last, as he opened the door to his killers (so that no one else would get hurt– he also didn’t cry for help) and fought so that he wouldn’t be taken alive. Now, he is memorialized with others who helped the people caught in the middle of Guatemala’s civil war. Priests were kidnapped, tortured, and murdered. People were killed in horrifying ways that seemed too gruesome to detail. Stories like Father Rother’s demonstrate the inhumanness of civil war, the innocent casualties, and the positive difference that individuals can make, especially in antithesis to the history of the role of foreign governments in Latin American affairs. Conditional Cash Transfers or CCTs are public programs that deliver cash directly to poor families provided they perform a set of proliferated actions that expect to reduce poverty, are most common in Latin America. Contrary to popular belief, it’s a cheap program (ex/ 0.5% of the country’s GDP) that for now has bipartisan support. CCTs were made possible by the shift of priority to human development and the World Bank and Latin American countries declaring war on poverty. CCTs are a part of the reason why poverty has been greatly reduced in the past 25 years, as Latin America was dealing with a poverty crisis in the 1980/90s. Latin America’s success made them the model to follow, though none of the emulations elsewhere have reached the scale or commitment that countries like Brazil and Colombia have. One example is a U.S. CCT program that didn’t last. It had been based on school performance. Dr. Silva pointed out that it made it hard and sometimes shameful to keep up with the extensive list of requirements. In Latin America, they have a better model of letting the families get the money deposited into a card and they issue it to the female head of household. Some argue that this has increased violence against women, while others argue that this has economically empowered women. The violence is a backlash against the politics within the family and represent a hurdle to women’s economic freedom and newly gained power. One program, Bolsa Familia between 2004 and 2011 raised 22 million people out of poverty. A downside is that some focus all efforts on the one kid guaranteeing the family a CCT, thereby neglecting the rest. It’s a sustainability issue that must be addressed. Withal, it would be worthwhile to investigate why Latin America has been so successful and if in the coming years they will continue to retain these programs amidst the increasing backlash from conservative politics that challenge CCTs. Another problem is that some were failing to get CCTs not due to their families, but because of problems within lack of access to schools that must be taken into consideration when evaluating who should receive CCTs. Now that my study abroad program has ended I’m back home in Moore, Oklahoma. I wish I could say the semester went by in a blur but in all honestly it did not. Between taking difficult classes (Organic I & II accelerated), traveling during the weekends, and OUA events, sometimes it felt as if the semester would never end. Don’t get me wrong, I can not express how much I loved the past semester abroad. I would choose to do it all over again in a heartbeat. However, the semester did prove to have it difficulties. So in this blog post I’m going to reflect on my experiences juggling classes and traveling and lessons I learned as a result of any struggles. If you’re going to try and study abroad figure out how to manage your time!! This applies to school and traveling. For example, don’t be like me and instead actually do your OChem homework before you leave for your weekend trip to Greece. This way when you get back on Sunday night you don’t have to worry about finishing up your homework problems before class on Monday morning. Don’t save your homework for after your trips because you will be tired and will not want to even think about studying once you get back from your trip. All you will want to do is sleep. If you really don’t have time to finish all your homework before the weekend, take it with you!! Trust me. Between all of the buses, trains, and airplanes you’ll definitely have free time to study. Managing your time is also super important when it comes to traveling. If you only have two days in a city you want to make sure you optimize your short amount of time. Even if your are not a huge planner and would rather just wing it, skip the regrets and do everything you want by at least making the effort to create a rough plan. It doesn’t have to be exact. Simply create vague time slots for how long you anticipate on spending at each attraction. This way you can ensure you get to check everything off your list. While I’m on the topic of planning trips, before you leave for your weekend destination buy your tickets to any museums, cathedrals, or attractions online beforehand if possible! This way you can ensure that you are guaranteed an entrance time and won’t miss out on any of your bucket list adventures. Popular attractions often have very long lines which could potentially ruin your schedule! Also warning… If you ever plan on traveling to Amsterdam with hopes of visiting the Anne Frank House be aware that it’s kinda difficult to get tickets unless you plan ahead well in advance. 80% of tickets for any date are released and sold two months ahead of time and the rest of the 20% are released on the day. I did not know this when I went. While you can attempt to try and plan every detail of your trips, also remember to be flexible. This actually could apply for the entirety of your study abroad experience. Sometimes things don’t go as planned, especially when you are in a foreign country with an entirely different language and culture. If anything goes wrong it will be okay. Always remember to take a step back and just be grateful that you are able to embark on this beautiful adventure. I can confidently say from experience that the best stories come from things going not as planned. Just have fun and be ready to adapt for anything! My last piece of advice is to make the most out of your experience! You get what you put into it. Try to learn the language and speak to locals! Who knows maybe you’ll make a friend. Get out of your comfort zone! You’re in a different environment so things will seem strange and intimidating at first but eventually daily things like ordering your food in the native language or having a friendly conversation with a local will soon become comfortable. Remembering to experience things in the moment will also help to make the most out of your experience. Trust me you won’t look at the hundreds of random pictures you took on your cell phone of the cities you visited. Instead you will be more likely to remember the memories you made at these cities with the people you were with. I could probably go on forever with a list of things I learned this past semester, but I think these are the most important. I hope these help anyone planning on studying abroad! Studying abroad definitely has its perks, but fall semester is arguably better than spring because of two words: thanksgiving break. An entire week off of school to travel anywhere you want! Thanksgiving break is truly glorious. For my week free from classes I decided to band together some of my coolest friends and plan a trip to visit Prague and Amsterdam. 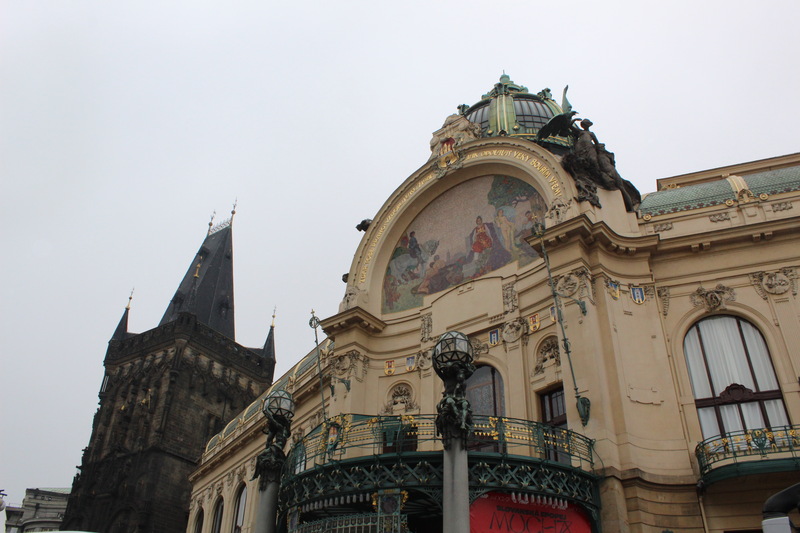 I’d heard so many amazing things about Prague and I will shamelessly admit my interest in Amsterdam was indeed sparked by watching The Fault in Our Stars. Deciding to visit these two European cities was definitely a decision well made. Our travels started immediately after my Organic Chemistry II class. As soon as my class in Arezzo ended, we rushed to the train station to catch our high-speed Italo train from Florence to Milan. From Milan we flew to our first destination, Prague. Prague was a dream. On our first full day in Prague we ventured out of our Airbnb to see the sites. I was instantly amazed by the city’s timeless architecture. 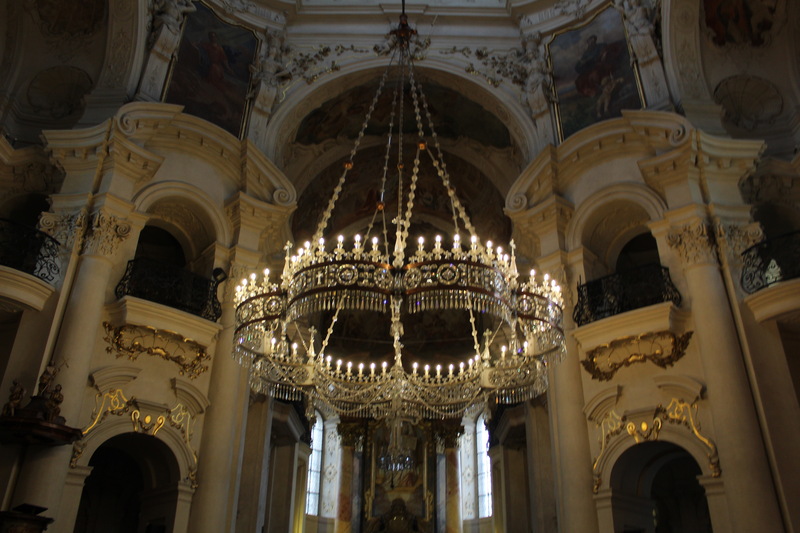 Prague encapsulated gems from the Gothic, Renaissance, and Baroque era. Each building possessed its own unique design. 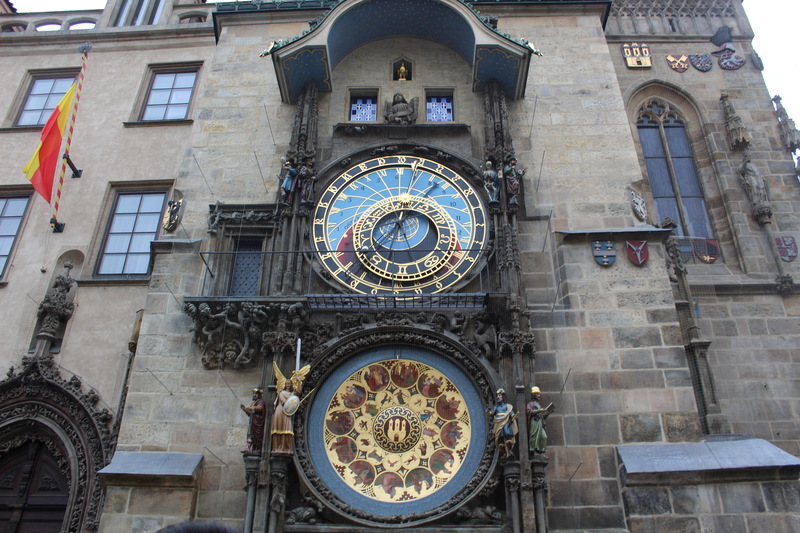 Making our way to the Old Town Square, we were able to see the Gothic Church of Our Lady before Tyn, St Nicholas Church, and the medieval astronomical clock. 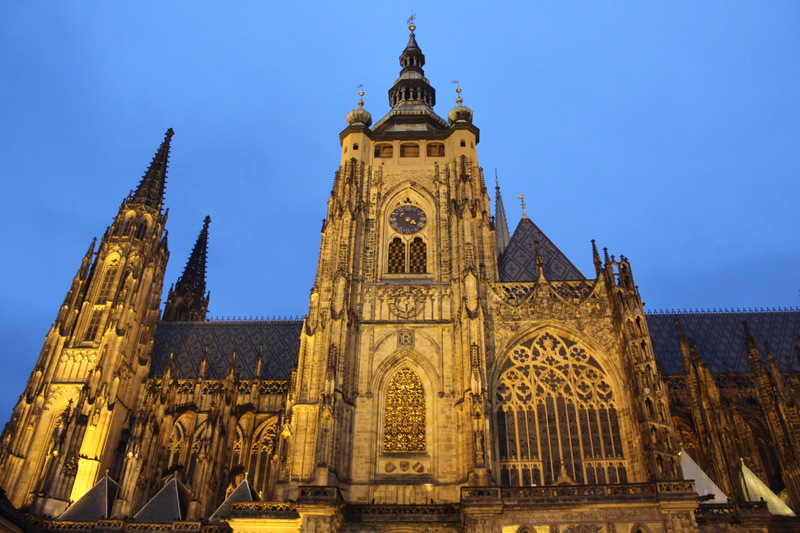 Later we made our way to the Charles Bridge, the Prague Castle, and St. Vitus Cathedral. The next day in Prague we stopped by the famous European Christmas markets scattered throughout the city. Each stand was filled with homemade creations from miniature figurines to baked goods. Afterwards we made use of the dozens of Lime scooters scattered throughout the city and explored the city. I wish I could say cobblestone made for good scootering. Nevertheless, it was a fun and easy way to travel through more of the beautiful city. We spent our last moments in Prague once again at the Charles Bridge taking in the scenic views. Our short two days in the Czech Republic soon came to an end as it was time to catch our next plane to Amsterdam. 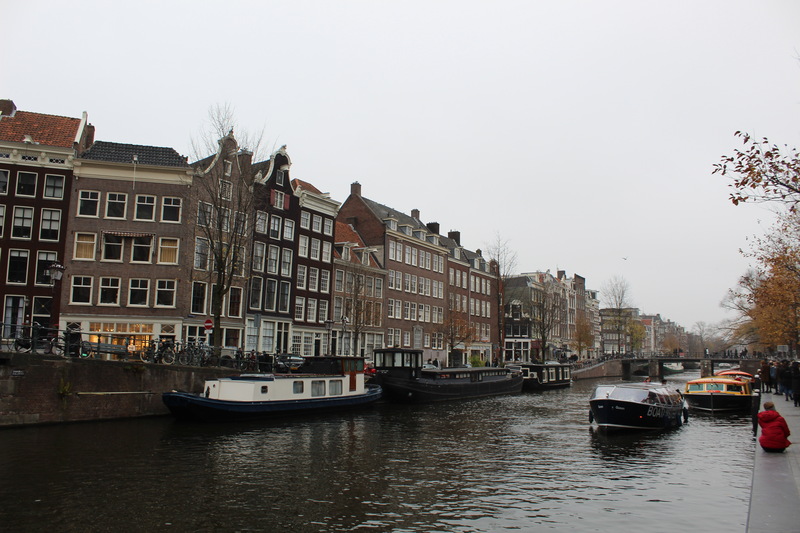 The second we arrived in Amsterdam I noticed the immediate change in pace. Compared to Prague, Amsterdam had more of a modern city feel. 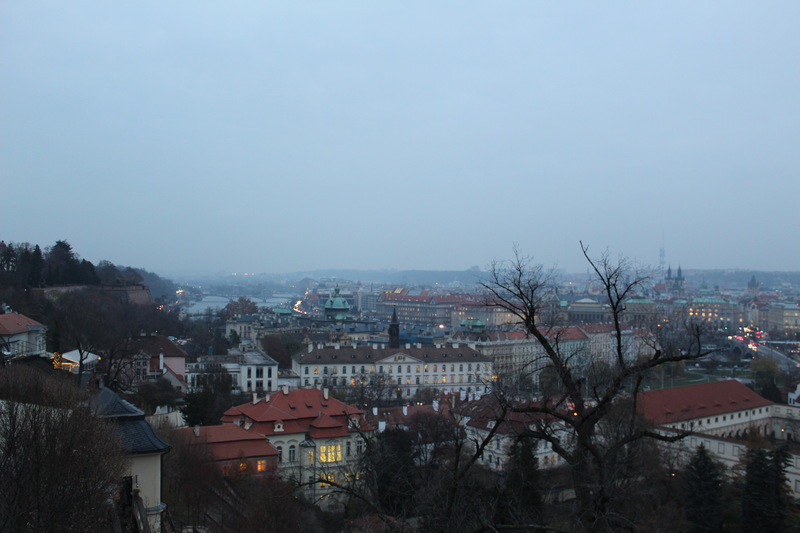 Prague was extremely relaxed and calm. Amsterdam, on the other hand, was restless. 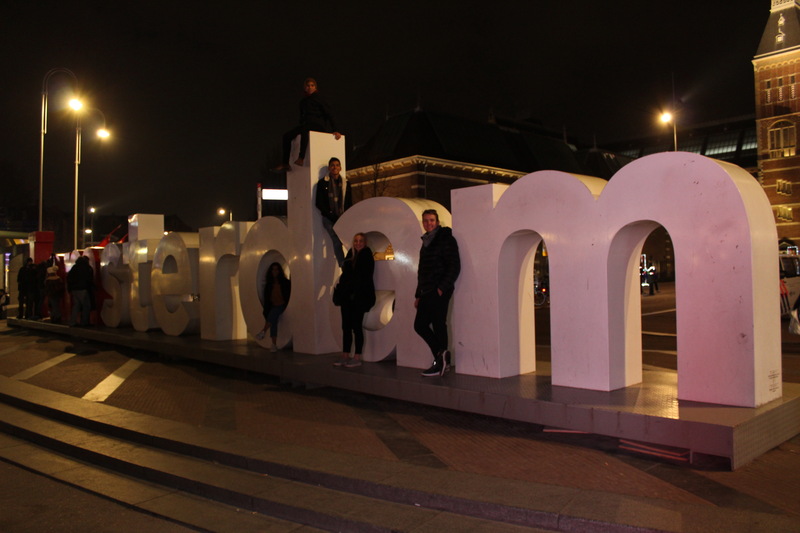 We arrived in Amsterdam on Thanksgiving day. Coincidentally, a couple of friends from our study abroad program also happened to be in the city. We decided to meet up with them and hold our own Friends-giving in an Italian restaurant (of course). While in Amsterdam we visited the Van Gogh museum. I especially enjoyed this museum. I have always been a fan of Vincent Van Gogh but being able to learn more about his life through the evolution of his artwork was a special experience. We saw many of his famous works such as The Potato Eaters and Sunflowers. Amsterdam was an interesting city. I loved its brilliantly colored brown canal houses and hipster vibe. However, I will say I didn’t love its Red-Light District or our twenty-person hostel as much. My time spent in both of these cities were extremely memorable. Thanksgiving was an incredible opportunity to be able to travel throughout Europe with some of my best friends. The fun memories made over the break will always be cherished! Films are interpretations that focus on certain aspects while glossing over others. Remembering, so that we can forget. Films can engage in a spirit of reconciliation to smooth over things. So, even though films can help a viewer experience history, their reconstruction of the past can be narrow and heavy with interpretation. Accordingly, films should be taken with a grain of salt because history is a contested space; thus, resulting in films competing as dissenting versions. As such, Dr. Moreira described film adaptations as misleading translations since they’re not as restricted and influential due to the numerous studies today show that violent media impacts young minds. Too often, Society takes the film as truth. The consequences? Effectual. We may learn a lesson, then move on to never think of it again. We may regard the film as truth, subsequently failing to see how injustices are being repeated, etc. These are only some consequences for the individual level. For society, a film can brainwash minds en masse. Four Days in September was one of several movies in Brazilian Cinema about the Military Dictatorship. The movie plot was to portray young idealists carrying out an act of terrorism as being their only voice to their dreams given the conditions (military regime in control). It was critiqued for having too long and explicit torture scenes as well as depictions that supposedly suggested sexual relations, a scene was suppressed from the film. The role of compulsive memory that applies to Four Days in September is that many Brazilians would rather forget the strict censorship from the 1970s to 1980s and the violent past of the military dictatorship. However, films such as these memorialize to inform/influence new generations who were too young to remember and provide an insight into the people who resisted the dictatorship. When my older sister studied abroad in Madrid, she got to live with a host family. 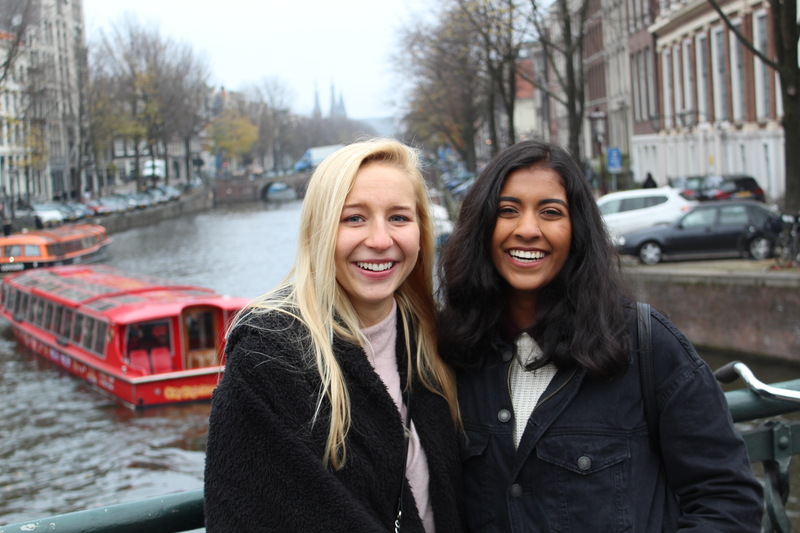 While she said it was sometimes challenging to fit in with them and abide by their rules, it pushed her language skills and showed her how the Spanish really live. I had been hoping to have a similar experience and live with a French family, but, unfortunately, the University of Limoges only offers dorms to its students. To make up for this, there is a program called Familles d’Accueil de Limoges, wherein French families volunteer to adopt international students during their stays. The group was poorly advertised, and I showed up to the first meeting, a matching event for students to pair with families, with very little information. It was unorganized and chaotic. We were supposed to mingle and find French people that we hit it off with, pairing ourselves off with little help. It felt like speed dating, and I was very conscious of how boring and unintelligent I probably sounded in my mediocre French. Fortunately, I met an older couple who were specifically hoping to pair with an American student. Monique and Lucien are in their late sixties and have friends who live in Wisconsin, only about 40 minutes down the road from where I grew up! They have visited Wisconsin several times, and we instantly bonded, chatting about the Milwaukee Art Museum and the University of Wisconsin. While most French people couldn’t find Wisconsin on a map, I’d found people who personally knew the place I call home. We spent several days together over the course of the semester. On my favorite adventure, we drove to the countryside outside Limoges to an old stone cottage that had belonged to Lucien’s parents. We picked apples and walnuts from their orchard, filling old milk crates to the brim, and walked along a path lined with golden-orange trees that lead down to a chateau on the river. We spoke exclusively in French, which was quite a struggle while driving out to the property, the radio on and the windows rolled down. By the end of the day I felt like I’d been pushed to my limit linguistically, and I went home exhausted but smiling. Besides France, Italy has always been on the top of my travel bucket list. 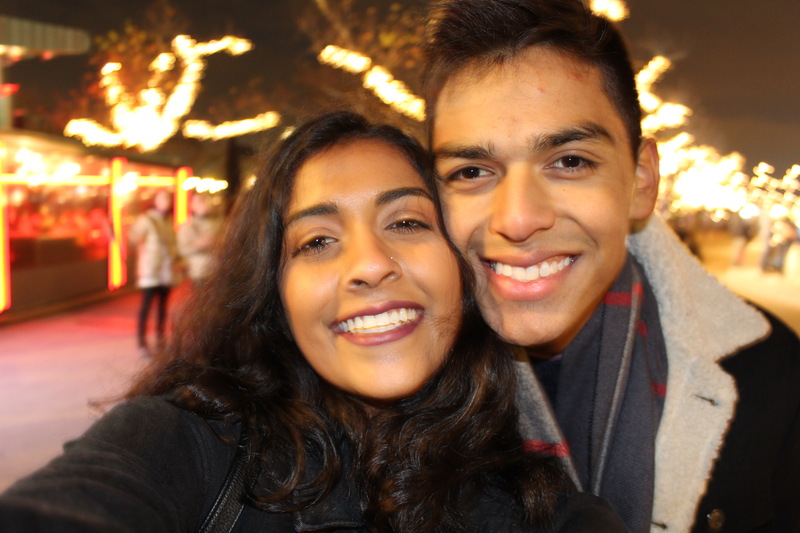 We had a weeklong break from classes at the end of October, so I decided to get out of the country! One of my best friends from OU, Riley (another Global Engagement Fellow! ), was studying abroad in Spain, and he also had a few days off. Our breaks didn’t line up exactly, so I had to choose between only traveling for a few days with him, or going somewhere by myself first. While my parents were nervous at the prospect of me traveling alone, and I found it a little daunting, I knew I’d regret it if I had the chance to explore more of Italy and didn’t take it. My least favorite part about traveling is having to figure out transportation. I hate the confusion of train stations and airports and the stress of worrying about missing connections or getting lost. Fortunately, my arrangements to get to Florence went off without a hitch. I took a bus from Limoges to Paris, shared a cab with some old Italian women to the airport, and caught my flight with plenty of time to spare. My first morning in Florence was overwhelming. I had been so stressed about the logistics of getting there that I hadn’t really planned out anything else. Fortunately, Florence is a small enough city that all the main tourist sites are close together and easily accessible. I spent an hour sitting outside at a cafe, watching a mix of tourists and locals stream across Ponte Vecchio, using the free wifi to figure out where everything I wanted to see was and when it was open. I managed to fit quite a bit into my long weekend there. I saw “The Birth of Venus” at the Uffizi (and waited in line for three hours to do so), greeted Michelangelo’s “David,” climbed to the top of the Duomo, spent a leisurely afternoon in the Boboli gardens, went to the oldest food market in Florence, and attended a prayer service in gregorian chant at a monastery high above the city. Traveling alone was both more challenging and satisfying than I’d expected. I loved getting to make my own schedule, spend as long as I wanted in the museums, and linger in front of street musicians without feeling like I was holding anyone up. It was nice to sit alone with my thoughts and take in the beautiful surroundings, not having to worry about making conversation. But it was also exhausting to have to make every decision alone, especially when my plans didn’t work out and I was scrambling to figure out how to salvage the day. By the time I got to Rome (after taking a brief pit-stop in Pisa! ), I was ecstatic to see a friendly face. Florence had been the perfect city for solo travel– small, clean, and safe, I’d never felt too intimidated. It was a good thing I had a buddy in Rome. The city is huge, the metro is confusing, and there’s an overwhelming amount of fabulous things to see, far too many to be fit into five days. Riley and I hit all the major sites I had wanted to see, including the Trevi fountain, the Spanish steps, the Forum, the Colosseum, the Vatican, and the catacombs. We also spent a lot of time just wandering around the city. Riley was an ideal travel companion because he shares my affinity for old churches, Renaissance art, and cheap food. On our last night, we went to an old bohemian neighborhood known for its authentic restaurants and splurged on a four-course meal. It was surreal to be with a friend from home in such a wonderful, foreign place. The combination of incredible pasta and lovely company made it one of the nicest evenings of my time abroad. While things academically were kind of a mess, I fortunately made some lovely friends. The international student community is very tight, and it didn’t take me long to meet people I knew I could become close with. A few days after I arrived in Limoges, we had an official welcome meeting at the university. Nayyifa (the other student from OU) and I walked in together and sat behind a group of three girls. Hearing us speak English, they excitedly turned around and asked in the sweetest British accents where we were from. I’m so grateful we sat together by chance, because becoming friends with them was the highlight of my semester. A few days later, Annelise, Megan, and Charlotte (or the British Gals, as I began calling them) and I went out for dinner at a cute Italian restaurant in the center of town. We sat at a table outside and split a bottle of wine, and, unlike with a lot of the other students I’d met in the last few days, we had no problem making conversation. Annelise and Megan initially intimidated me– they seemed untouchably beautiful and confident, and they regaled our table with wild stories about the boys they’d dated and trips they’d been on. Charlotte seemed more like me. She was quieter and more proper, and we bonded when she told me that she was majoring in literature. In the following months, my initial impressions of them were complicated. Annelise is brash and loud and distinctly less polished than I’d thought, in the best way. She usually wore men’s jeans and huge hoop earrings and told the funniest stories. While Megan usually looked glamorous and seemed too fun to be substantive, she turned out to be incredibly considerate and protective. The four of us spent dozens of nights at her apartment, stuffed onto the couch in our pajamas, watching Harry Potter and having tea and cookies. While I will always remember the exciting parts of studying abroad– exploring new cities and countries, seeing beautiful art and monuments, speaking another language–I will treasure even more the people who enabled me to feel at home in France.